After seeing John Coxon’s Hugo t-shirt design Julie Zetterberg said the next thing fans need are complementary No Award pants. My second thought is actual pants. Let’s go with that. The Fashion Police blog offers endless possibilities. 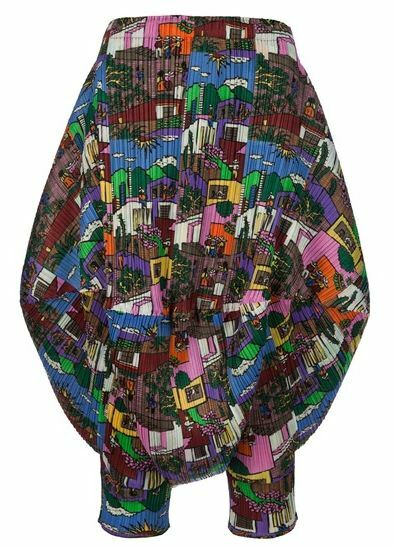 Harem Hell: Pleats Please balloon pants by Issey Miyake. Cost: £285. 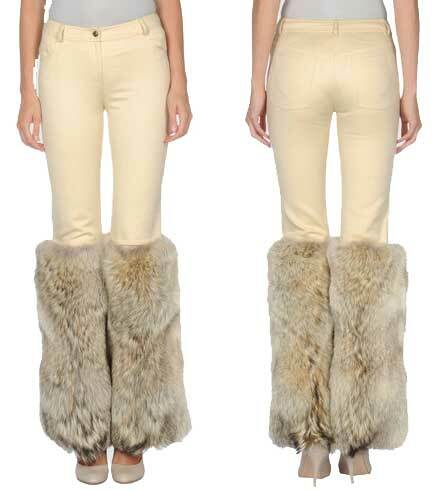 Christian Dior’s Coyote trousers. Cost: £1,190. And the “GRRM Leggings” deserve consideration for two reasons, the other being that George did, after all, invent the Hugo Losers Party…. This entry was posted in Skiffy and tagged fashion by Mike Glyer. Bookmark the permalink. 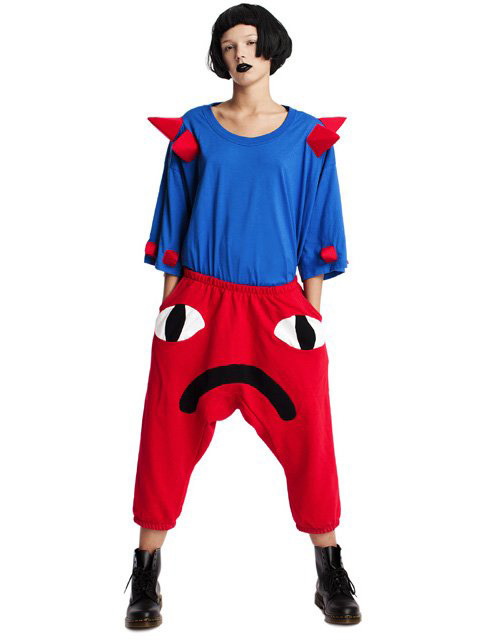 Those Ugly Face Emoji Joggers look like VeggieTales gone horribly wrong. 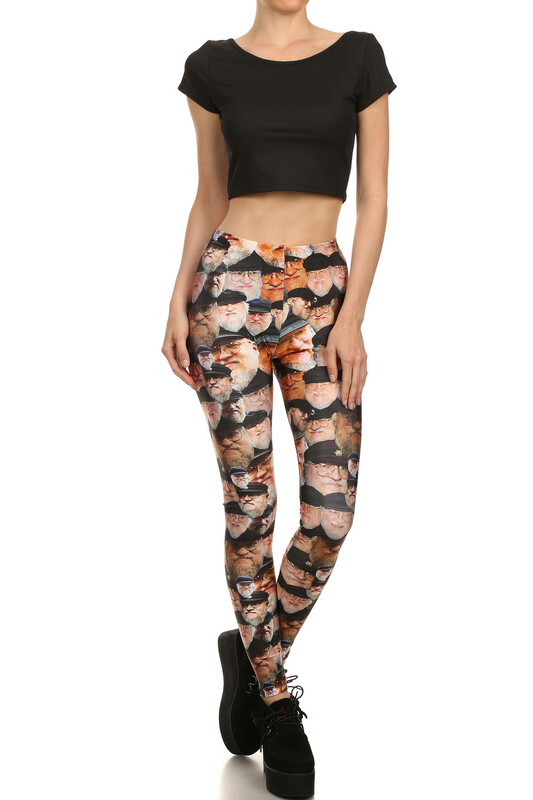 Aren’t you people at all concerned that the GRRM leggings objectify the poor man? Really, the person wearing them ought to be ashamed of herself and we should be raging at her endlessly – no matter what other achievements she might have accomplished. It dawns on me that these are for women what ugly neckties are for men. Happily there are gender-neutral Hawaiian shirts that anyone can wear. you’re a cruel man, Mr Glyer. Very cruel. Well, that’s gonna haunt me for the rest of the day. The GRRM leggings are the only ones I can remotely picture wearing. High End Fashion: something you would never wear unless you were paid to model it. On the lower end of comments: they look sucky. Ah, the US definition of ‘pants’. I had a sudden vision of unsuccessful Hugo candidates walking around in their underwear. The Harem pants look like something to wear over your Depends, and it appears they’ve already absorbed as much as they can. Can’t touch this? Don’t want to touch this.